Have you ever wondered how wood species take stain? Not all wood is the same. Every species of wood has its own distinctiveness. Differences can occur in the wood’s grain, its hardness, softness, and its pores. Because of the unique properties of every type of wood, they each react to stain differently. One color or shade of stain might look a certain way on one type of wood and not the same on another. 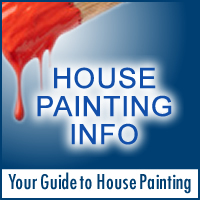 There are two general types of wood stain – – penetrating and gel. The most distinctive difference between the two types is how readily they soak into wood. Penetrating stain is designed to soak deep into the wood and gel stain does not. No matter which type is used, making sure the wood has been treated with a pre-stain conditioner can help reduce the incidence of blotching and variations in stain color. The overall purpose of pre-stain conditioner is to encourage the stain soak into the wood as evenly as possible. This helps to yield the most consistent results. A few of the most notoriously difficult woods to stain uniformly are Alder, Aspen, Birch, Maple, Pine and Poplar. These woods are not good at absorbing stain, which means that when they are stained, the color can appear uneven or spotty. There are a few techniques that can be employed in hopes of creating a more favorable wood surface that will more readily take stain. First, the surface of the wood can be sanded. The best choice of sandpaper is one that has a rough grit. Second, the wood’s grain can be raised by wetting the wood with water. The wood should be allowed to dry for half a day before applying stain. And, third, applying several layers of stain to the surface of the wood can help mask any uneven color or splotchy marks that may have been left with the original couple of layers. A highly recommended method that helps wood absorb stain evenly is sealing the wood before applying the stain. While there are not guaranteed results, sealing the wood is known to produce a surface that absorbs stain more evenly. There are a few different choices when it comes to sealing the wood. Shellac and/or sanding sealer are commonly used before staining. But both of these sealers should be sanded after they are applied. Afterwards, stain can be added. In most situations sealers will prevent an uneven absorption of stain. Anyone that has not spent much time thinking about how wood species take stain might be in for a big surprise if they are dealing with a type of wood that does not readily absorb stain. Also, many pieces of furniture are made of at least two separate types of wood. These pieces can appear abnormal if they are stained and the results are either uneven color or blotches all over the surface. If pre-stain conditioner or sealing the wood does not produce the desired results, another option is applying dye to the surface of the wood to compliment the color of the stain.